The roads will roar with freedom slogans. In unison, each participant and those cheering them, will be voices of united strength. NEW DELHI: The roads will roar with freedom slogans. In unison, each participant and those cheering them, will be voices of united strength. Independent in their thought and determined in their approach, hundreds of riders will be reclaiming the city roads to raise the fervour on celebrating Independence Day, and also on the true meaning of freedom in a democratic country. 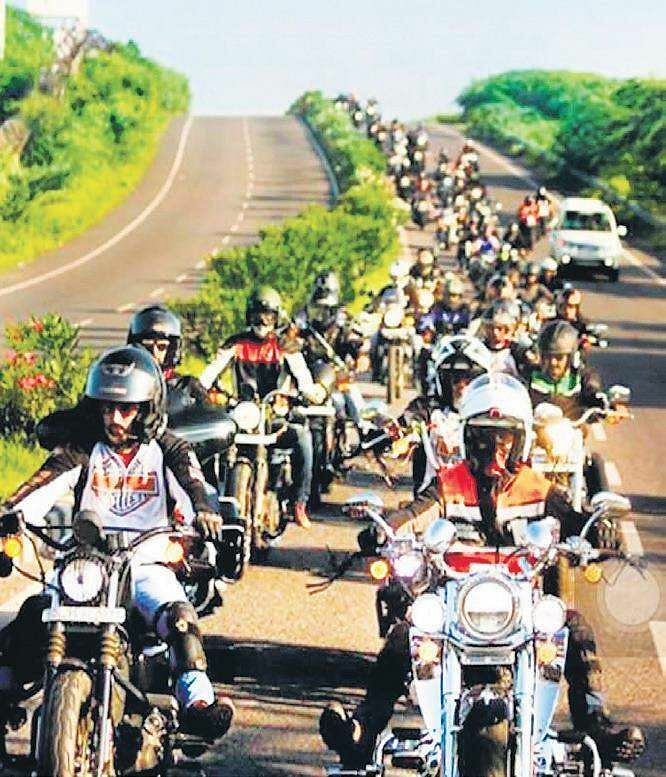 More than 200 Harley Davidson, BMWs, and standalone bikers will participate in this second edition of Jashn-E Azadi Freedom Ride. Lead by the members of the Armed Forces Chapter, it will start from Qutab Minar. Holding India’s tri-coloured identity in their hands, they will set out in mind and spirit to encourage people to come out of their homes and partake in an activity that is not only physically intensive, but also emotionally invigorating. “The larger idea here is to talk of the importance of conflict transformation and building peace. We all have an equal right to pursue happiness. We all must be able to speak and behave the way we want without censorship and constant critique, and that’s why we’ve all set out on this ride of change. The road ahead is long and we all must make it a priority to support the idea of freedom of speech and liberty of expression” says Harinder Pal Singh, a rider from West Delhi. The ride is being presented by Nehru Bal Sangh, a platform for Indian youth to come together and join the process of nation-building. The organization has organised several integration camps in Mumbai, Jammu and Kashmir, Sikkim, and Bangalore in the past. Now they present a host of Delhi riders. The event is projecting itself as an open, liberal space where the youth are at the centre of its outreach. They all have one thing in common—to support the idea of personal sovereignty as a fundamental goal. It’s about upholding one’s right to partake in the country’s decision-making process and to be able to openly and honestly talk about the importance of embracing liberty and action in this system, making it a stronger one. August 15, at 5.40 am (Qutab Minar). Flag off is at 6.15 am.